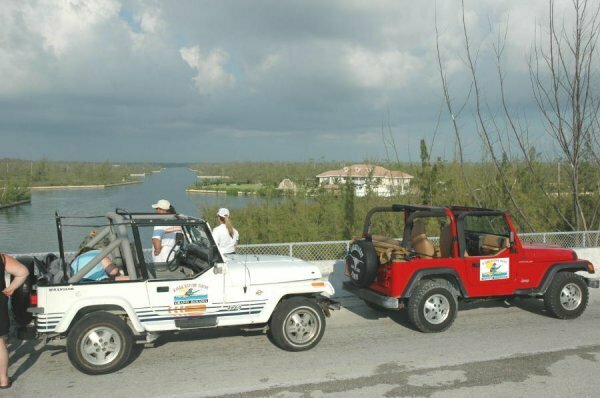 Grand Bahama Nature Tours, based in Freeport, Bahamas, has been one of the leading Eco-tour operators on Grand Bahama Island for the past twenty years. We operate kayaking, biking, jeep and bird watching tours. All tours involve light to moderate activity and are fully guided by friendly, highly trained, professional personnel. Most of our guides are natives of the Bahamas and the Freeport area and take pleasure in acquainting visitors with the flora, fauna, history and culture of the islands. Free door-to door transportation in air-conditioned mini-vans from all Freeport and Lucaya hotels. Most tours include lunch and refreshments. All equipment included. All admissions to parks and attractions included. Children's discounts available on some tours - please call. 90 minutes of moderate paddling. Safe in any weather-No dangerous creatures. Wide, stable, two-man kayaks. Easy in and out. Lunch on private, shady beach. Time for swimming or beach combing. Biking Sightseeing, Beach and Shopping Tour. (5 hours in duration - distance 12 miles - $89.00). Leisurely bike ride along scenic shoreline and the old settlement of Smith Point. Narrated stops at points of interest. 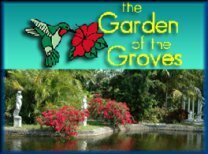 Enjoy a light lunch and non-alcholic beverage at the tropical Garden Of The Groves. There is time to view the garden and shop in the arts and crafts village. Your tour will end at one of the finest beach facilities in Freeport. (Option # 1) 5½ hours in duration, Option # 2) 7 hours in duration. Distance approx. 40 miles, $89.00 per person). Drive your own 4x4 open top Jeep in a convoy, led by an experienced island guide. We travel excellent roads with little traffic as well as off-road through pineforest. (Option # 1) Stop for a light lunch at the tropical Garden Of The Groves. View the gardens and browse through the arts and craft's village for authentic Bahamian souvenirs. Your final stop is a private beach club where you may swim or relax in lounge chairs. 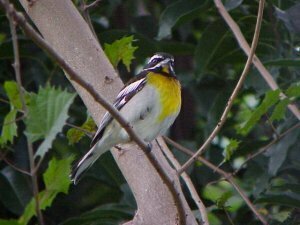 Grand Bahama offers over 200 bird species. Many Bahamian Specialties and Endemics that do not occur in the U.S., Canada or Europe. Easy access to birding sites by car. NB. Pickup times will differ for Bike tours. Please call. 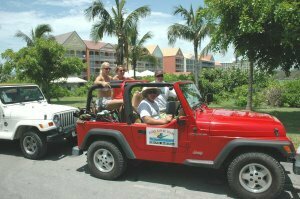 We have been providing nature tours for over twenty years on Grand Bahama Island. Our friendly, professional guides are dedicated naturalists, Bahamahost graduates, certified tour guides and experienced kayak guides. "Your tour is the right balance of activities, good for all ages and a great value." "Your company is to be commended for running the most professional, informative and memorable tours we have ever experienced - your staff goes the 'extra mile'!" 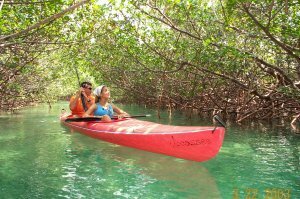 The 1999 German Merian Travel Guide writes: "Kayak Nature Tours is one of the top ten highlights of the Bahamas that no visitor should miss!" * 7.5% VAT will be added to tour prices. For further information contact: GRAND BAHAMA NATURE TOURS, LTD.